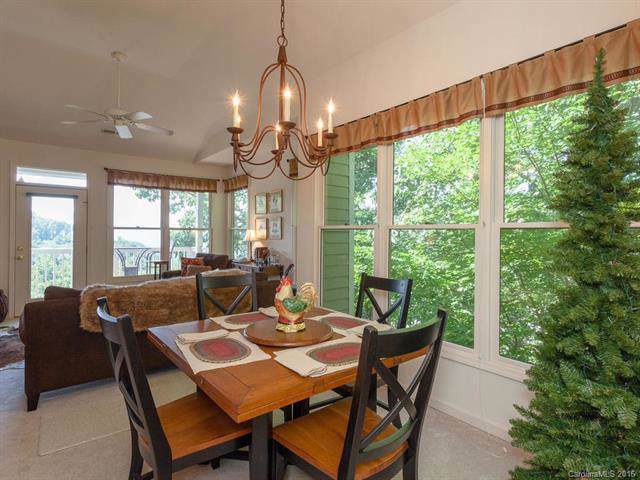 This airy end unit in Mountain Air is fully furnished and filled with light from multiple windows, enhancing a lovely long-range mountain view. 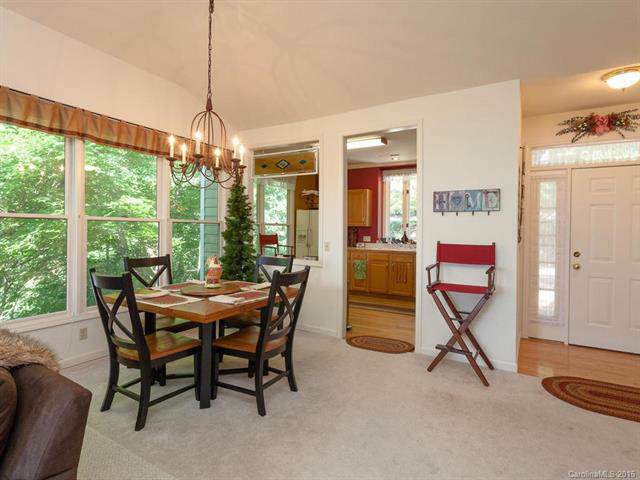 Spacious open living area centers around a stone fireplace, dining area and nice working kitchen. 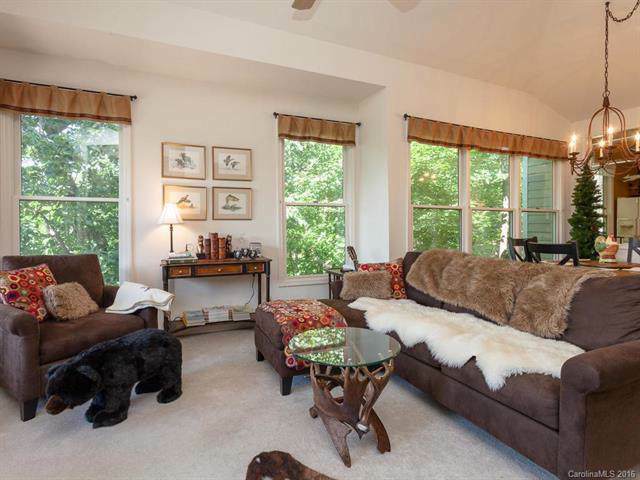 Comfortable master suite with wonderful mountain views, and second bedroom perfect for guests. Covered porch is the perfect spot to take in the scenery. Furnished, and ready to move in and enjoy. Close to all of Mountain Air's wonderful amenities.